Brain injuries are very serious injuries that can have long term and life-changing consequences. How is a Brain Injury Considered by a Jury in a Lawsuit? When a claimant brings a tort lawsuit, they must prove liability and damages. These two elements must be proven by a preponderance of the evidence to a jury. Along with proving liability, a litigant must prove their damages and the jury is responsible for assigning a monetary number to each element of damages. The type of injury or damages will be considered by a jury when they award damages. Considering the levels of brain injuries and long term effects associated therewith, it is sometimes difficult to prove these elements to a jury in a brain injury lawsuit. The Texas Brain Injury Lawyer at Hill Law Firm has handled cases involving brain injuries and understand the difficulties associated with proving damages. When someone suffers a traumatic brain injury, it is very important that a person seeks medical care quickly. Bleeding or swelling of the brain as a result of the injury may occur and requires immediate medical attention. In terms of typical treatments for brain injuries, the Mayo Clinic categorizes the typical treatments for brain injuries to medication, surgery, and rehabilitation. The treatments associated with brain injures, however, depend on a case by case analysis by trained professional. Always listen to your doctor to determine the best course of treatment if you have suffered a brain injury. What are the Levels of Severity for Brain Injuries? TBIs are categorized into three categories – mild, moderate and severe. The level of severity is determined based on the Glascow Coma Scale (or “GCS”). The scale range is generally from 3-15. A GCS score of 13-15 is considered mild, 9-12 is considered moderate, and 3-8 is considered severe. Not all brain injuries are obvious. Not all brain injuries manifest into similar symptoms. The Texas Brain Injury Lawyer at Hill Law Firm has seen a variety of symptoms associated with brain injuries and understand the complexities associated with proving brain injuries to juries. Yes. The San Antonio Brain Injury Lawyer at Hill Law Firm has worked on countless cases involving brain injuries from falls, automobile accidents, impacts, drownings, violent attacks, and medical mistakes. The clients represented by the Hill Law Firm attorneys with these horrible injuries ranged in age from 16 months to 56 years of age. Each one had a unique brain injury that required special attention. Considering traumatic brain Injury symptoms can range from mood changes, slightly lower performance, to full-blown loss of ability to walk, talk, or communicate, our San Antonio personal injury attorneys always try to employ the latest medical technology and testing to prove brain injuries through objective medical data, testing, and imaging. 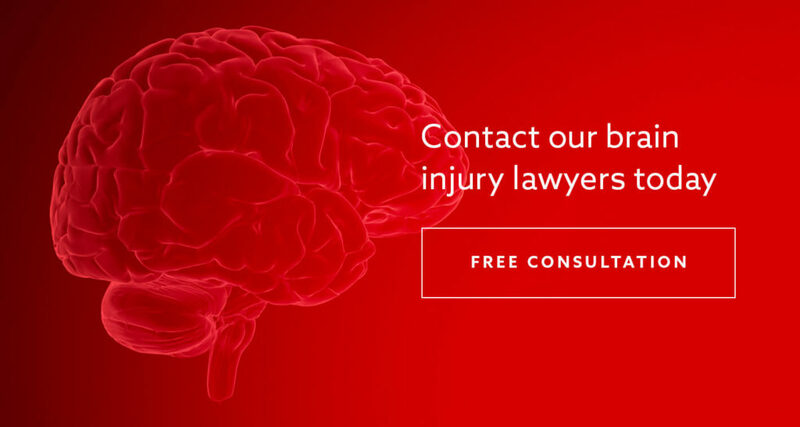 If you or someone you know know has suffered from a traumatic brain injury and would like a free legal consultation, call our office today.